Body: polyester / elastane / nylon; Palm: rubber / polyurethane / cotton. URG 2.0 latex for outstanding grip and excellent cushioning. Negative cut for tight and snug fit. Knit backhand material; Reinforced backhand. Anti-abrasion padding on base of palm. Close-fitting bandage around wrist. Stretch strap for a stable fit. 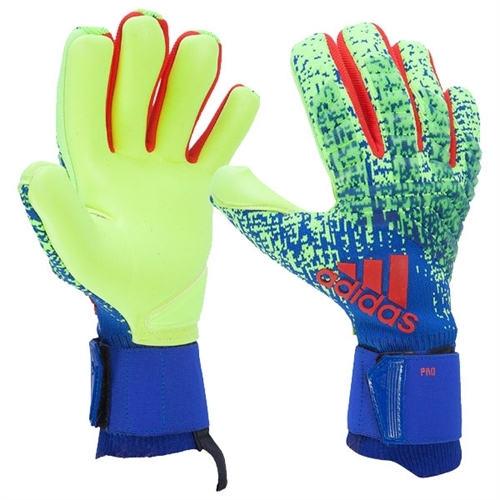 Our adidas Predator Pro Goalkeeping Gloves goalkeeper gloves put you in charge. The palm has 3.5 mm of cushioning to take the sting out of the fiercest shots, and grippy latex clings to the soccer ball in all conditions. The fingers are cut for a snug, natural fit. 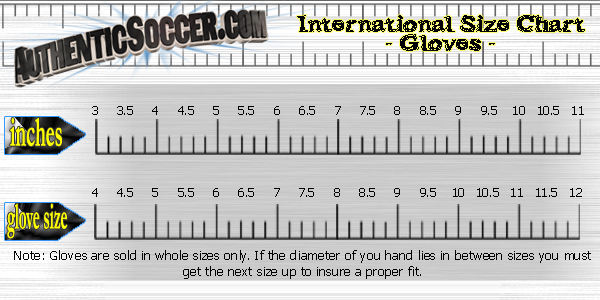 Made from flexible knit fabric, the backhand has silicon reinforcements to help with punching. An extended wrist makes them easier to pull on.